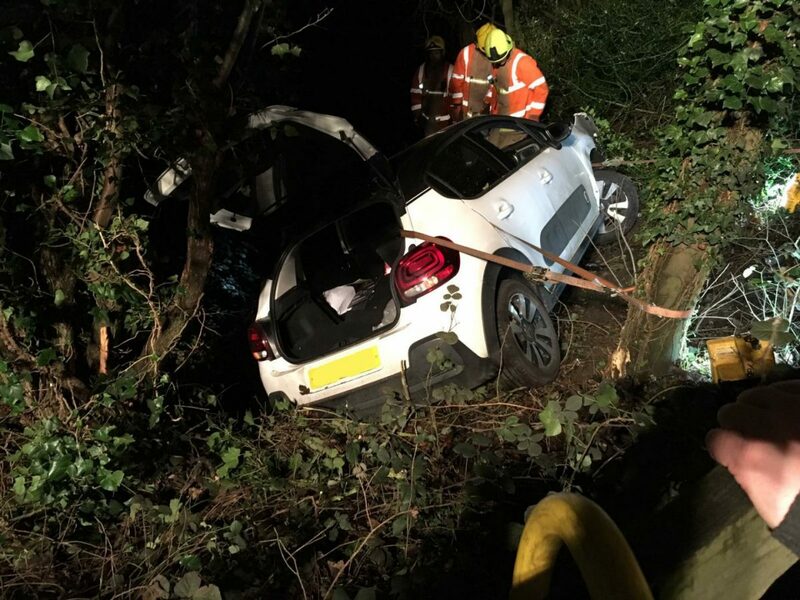 A mother and daughter who were trapped in their car after swerving off a country lane were rescued after a 15-year-old boy found them using Snapchat. 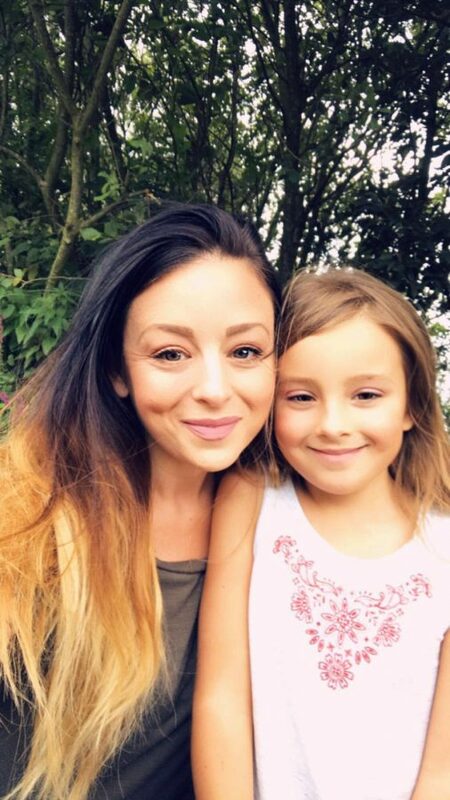 Gemma Fairweather, 38, and her seven-year-old daughter, Martha, were left teetering on the edge of a water-filled embankment after veering off the road on Sunday (Feb 13). The “traumatising” incident happened just after 10pm while Gemma was driving from Lowestoft in Suffolk to her home in Wymondham, Norfolk. The white Citroen C3 left the country lane at a sharp bend just as Gemma dipped her headlights for an oncoming car. The 38-year-old’s car rolled down the verge, narrowly missing a cluster of trees, which took out the left wing mirror and smashed the passenger window. Gemma contacted her boyfriend, Graham Potts, who lives in Lowestoft – about five minutes from the crash site – to contact emergency services and to help them get out. 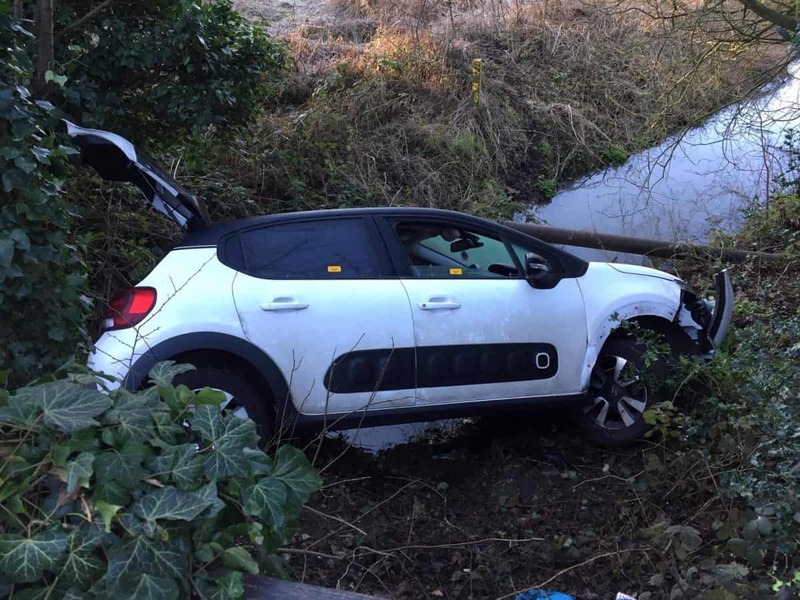 But the car was hidden from the road and passing drivers and the stranded car could not be found by 999 crews during the 20-minute frantic search. Graham’s son, Sam, then used his knowledge of messaging app, Snapchat, to come to the rescue. Using the app’s geo-location tool, Snap Map, the teenager managed to pinpoint Gemma’s exact location and alerted the emergency responders of her whereabouts. Gemma said: “I was calling the emergency services and was giving the road name and my location according to sat nav but they were on a completely different road. “Cars were driving passed us completely unaware that we were there – honking the horn and flashing my lights were doing nothing. “When Sam said to use Snapchat, I sent him message saying “can you see me?” and then Graham was on the phone to emergency services guiding them to us. “The fire engines were only able to see the car because they were higher up and could see over the verge. “It was very dramatic. The window had broken on Martha’s side and I could see the river through her window as we were teetering on the edge of the verge. “It was absolutely freezing and it was pitch black. “It felt like we were there for a lifetime but I called Graham at 10:10 and we were out the car at about 10:50. “It was incredible how we were rescued by just a simple app. The country lane has no barrier or street lights and Gemma said she had no idea how lucky they were until they saw the car in daylight the following day. She added: “We couldn’t get out because the car would have toppled over. “It was epic really. We’re very lucky. Gemma has warned motorists to be careful while driving in bad weather, adding on Facebook, “note to self, never take the back roads”.